GVI’s blog: Why use a big camera? There are a ton of technical features that enhance the picture and sound on a broadcast camera, but the biggest difference is the lens. 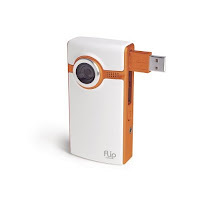 Consumer cameras are designed for ease of use with auto-focus, auto-exposure and slow zooms (the Flip is just an extreme example). While this prevents you from ruining a shot, it gets in the way of getting a great shot. 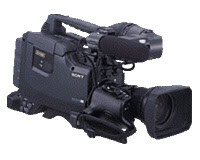 The large professional lenses on broadcast cameras let you set the shot quickly and the focus is much sharper. You can zoom in closer and zoom out wider. These features aren’t as important when capturing medium shots of your family and friends. But if you’re looking to creatively tell a story – and capture images that really stick in your mind – you need a professional lens. The pictures really do look better.